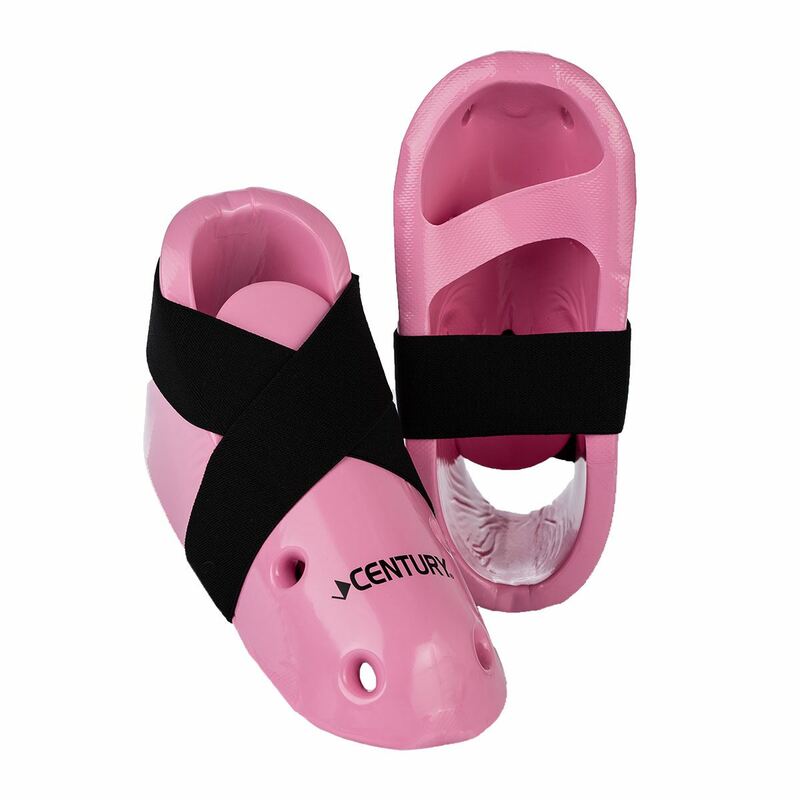 Pink Sparring foot / Boot made of 1/2" dipped foam boot is contoured to fit and protect the foot with hook and loop closure on elastic criss cross strap for a secure fit. 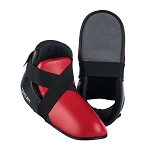 Above the ankle coverage for additional protection. 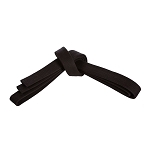 Student Sparring Gear By Century martial arts supply. 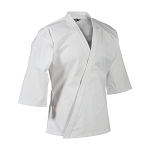 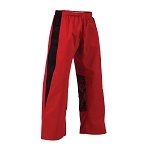 Designed tough for martial artists in training. 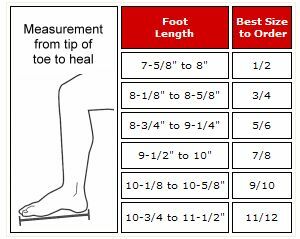 Kicks are measured by men's shoe size. 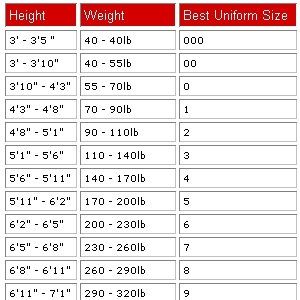 Women's shoe sizes generally run 1 to 1 1/2 sizes smaller than men's.